Christopher Sheppard founded Adventure Pictures when he first joined forces with writer/director Sally Potter in 1990. The Oscar-nominated ORLANDO (1992), starring Tilda Swinton, marked his debut as a feature film producer and was one of the first ever multi-country European co-productions. This was followed by the BAFTA- nominated THE TANGO LESSON (1996), THE MAN WHO CRIED (2000) starring Christina Ricci, Johnny Depp, Cate Blanchett and John Turturro, and YES (2004) with Joan Allen, Simon Abkarian, and Sam Neill. RAGE (2009) with Jude Law, Judi Dench and Steve Buscemi, was the first feature film to premiere simultaneously in cinemas and on mobile phones and was nominated for a Webby Award. In 2012 he produced GINGER & ROSA, starring Elle Fanning, Alice Englert, Timothy Spall, Christina Hendricks and Annette Bening. THE PARTY, starring Patricia Clarkson, Bruno Ganz, Cherry Jones, Emily Mortimer, Cillian Murphy, Timothy Spall, and Kristin Scott Thomas is his most recent film and was released in 2017. Christopher first worked as a journalist, with assignments across five continents, then as co-editor of the New Internationalist magazine and as a consultant for various United Nations organisations, including UNICEF and WHO. 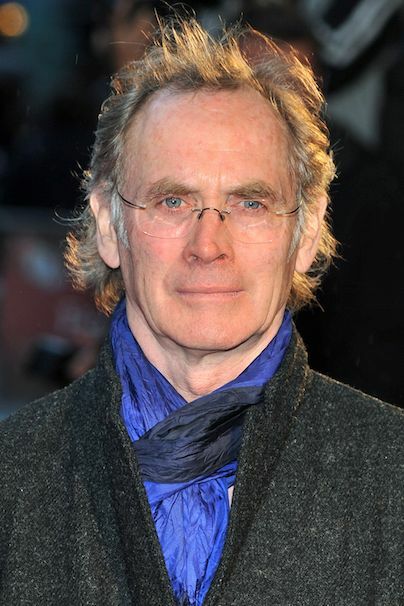 He has also directed many documentary films, including two nominated for Royal Television Society awards, and produced a number of innovative internet projects, including www.SP-ARK.org, the interactive online Sally Potter archive.